This is a compilation of results from the Pokemon TCG Winter Regional Championships held in the United States in February of 2015. The results take the Top 32 results from Regional Championships with a Day 2, and the Top 16 results from Regional Championships that cut straight to a Top 8. The results from Day 1 of tournaments are from the Standard format, while results from Day 2 are from the Expanded format. The following are results for the Standard format from the Regional Championships played in the Boundaries Crossed to Phantom Forces format. This includes Top 32 results from St. Louis and Virginia Regional Championships and Top 16 results from Oregon and Southern California Regional Championships. *City Meta Share is from the entirety of City Championship results, while Adjusted City Meta Share is based on recency of results. The following are the results from the Expanded Format for Regional Championships played in the Boundaries Crossed and Phantom Forces format. St. Louis and Virginia Regional Championships played 5 extra rounds of Swiss followed by a Top 8 cut in Expanded, while Oregon and Southern California only played a Top 8 cut in Expanded. * A 63 card M Manectric EX/Rayquaza EX was played during the five additional Swiss rounds of Virginia Regional Championships, with the player getting to choose which three cards to take out prior to the Top 8 cut. As this significantly interferes with how playable a deck is, that players results are considered invalid and not included for purposes of this website’s record of tournament results. Deck: Played 1st 2nd Top 4 Top 8 Top 16 Top 32 1st 2nd Top 4 Top 8 SRS SRS Avg. SRS = For tournaments with Day 2 Swiss: 5 pts for 1st, 4 pts for 2nd, 3 pts for Top 4, 2 pts for Top 8, 1 pt for Top 16. For tournaments that cut straight to a Top 8: 3 pts for 1st, 2 pts for 2nd, 1 pt for Top 4. The following are the results for the Standard format at Regional Championships played in the Boundaries Crossed to Primal Clash format. 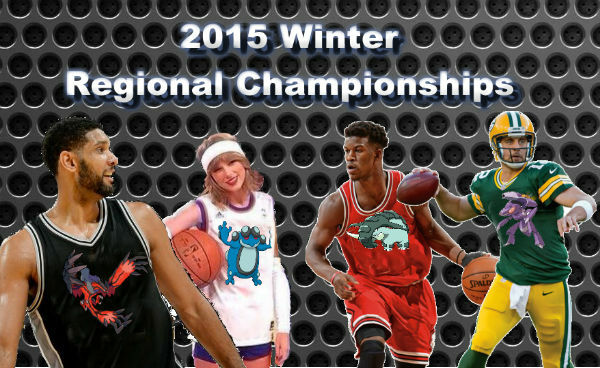 The results include results from the Top 32 for the Florida Regional Championship. The following results are from the Expanded portion of the Florida Regional Championsip. They include the Top 32, Day 2 Swiss and Top 8 cut from the tournament. Deck: Played 1st 2nd Top 4 Top 8 Top 16 Top 32 SRS SRS Avg. 17. Jery Jensen – ???? 23. Dane Schussler – ???? 20. Gregory Sweeney – ???? 21. Anthony Fall – ???? 25. Patrick Casey – ???? 26. Mark Samuelson – ???? 28. Edward McGinnis – ???? 30. XXXXX XXXXXX – ???? 21. Tristan Macek – ???? 24. Gregory Sweeney – ???? 25. Anthony Fall – ???? 28. Patrick Casey – ???? 29. Mark Samuelson – ???? 31. Edward McGinnis – ???? 13. Shane Bliss – ???? 14. Marc Dodson – ???? 11. Brandon Smith – ??? ?